Among the myriad guidelines that the wise investor follows, diversification sits front and center: Don’t put all your eggs in one basket, either with respect to equities or asset classes. But the notion of diversification extends beyond the process of deciding what to buy. It also applies to the assessment of the market as a whole and the factors affecting it at any given time. The universe of indicators available to investors is vast to say the very least, and there is no shortage of opinion or controversy around them and their relevance at any given time. It’s important to evaluate a range of factors, as no single indicator is sufficient to draw broad-based conclusions about the market. One concern that keeps popping up in the media is around the top-heavy gains in the market—that the lion’s share is attributable to a small number of the biggest stocks. This is feeding a narrative that the lopsided market is dangerous since the biggest winners account for over 50% of market returns, that the top of the market is too “thin.” The worry is that this might point to the aging of the market rally and signal a correction in the offing. While this makes sense on the surface—that a broader foundation of returns should represent a more solid market and, conversely, a narrowing market should signal a market top–this is only part of the story. It is customary in market cap-weighted indexes, for example, to have a small group of names account for the majority of gains. This year, for example, it’s estimated that Apple, Facebook and Amazon account for almost a third of the gains in the S&P 500. Another read on the market comes from an indicator called market breadth, or the ratio of the number of stocks showing gains to the number that are not. The ratio is illustrated by an “advance-decline” line which will rise if more stocks are rising than falling, and decline if more stocks are falling than rising. If, for example, the overall market is on the rise along with the advance-decline line, this could represent a confirmation that an uptrend still exists. If the market is rising and the advance-decline line is dropping, on the other hand, it could be a sign of trouble ahead. But, like all indicators, this one should be used as only one part of an investor’s analytic arsenal. For example, the advance decline line fell in late 2007 (prior to the financial crisis), but market breadth and the stock market seemed fairly aligned in more recent market corrections as reported recently by Ben Carlson on Bloomberg. It is paramount, therefore, that investors evaluate individual securities and fundamentals of the underlying businesses to get a read on what’s happening beyond the macro indicators routinely referenced by media pundits. I created a series of stock screening models based on the investment strategies of some of the most successful market legends, which focus on fundamental, concrete metrics that measure the health of a company’s underlying business. 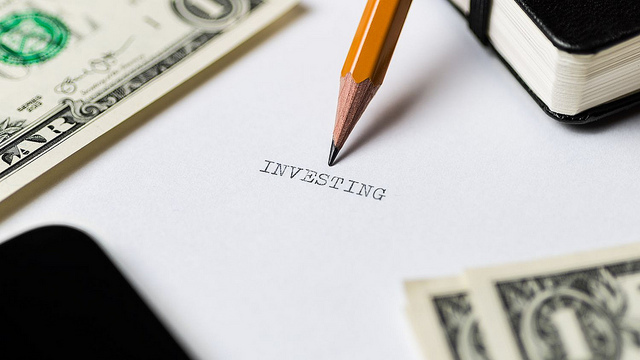 This can help investors stay steady and measured as they evaluate investment opportunities, and cut through the noise than so often leads to misguided decision-making. Some of the names that score highly based on a series of filters and guru strategies include the following names. These are just a few ideas that investors may consider taking a look at. For more details on the stocks, you can use Validea’s Guru Analysis tool or see the entire article on Forbes. ManpowerGroup (MAN) is a provider of workforce solutions and services favored for persistent growth in earnings-per-share and price-sales ratio. Evercore Partners (EVR) is an independent investment banking advisory company that earns high marks for its ratio of price-earnings to growth in earnings-per-share as well as an upward trend in quarterly earnings growth. TDK (TTDKY) is an electronic component manufacturer favored for its price-sales ratio and market capitalization. Assured Guaranty Ltd. (AGO), through its subsidiaries, provides credit protection products to public finance and structured finance markets in the U.S. and across the globe, and scores highly based on its return-on-assets as well as price-earnings, price-cash flow and price-book ratios. Sanderson Farms (SAFM) is a poultry processing company favored for its debt-free balance sheet, free cash-per-share and average profit margin over the past. Disclosure: At the time of publication, John Reese and/or his private clients were long Evercore Partners, Assured Guaranty, Sanderson Farms and ManpowerGroup. John Reese is founder and CEO of Validea.com and Validea Capital Management, LLC. Validea is a quantitative investment research firm and Validea Capital, a separate company from Validea.com, which maintains this blog, is a asset management firm offering private account management, ETFs and a robo advisor, Validea Legends and Validea Legends Income. John is a graduate of MIT and Harvard Business school, holder of two US patents and author of the book, “The Guru Investor: How to Beat the Market Using History’s Best Investment Strategies”.